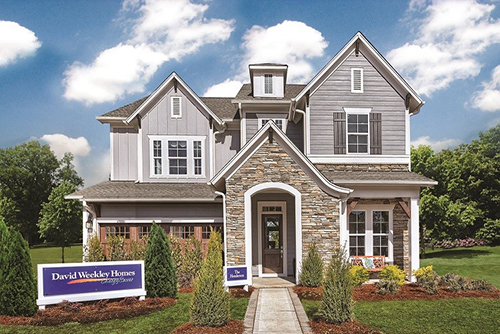 The grand opening will be held from 11:30 a.m. to 2:30 p.m. on Saturday, March 3, at the SouthRidge model home, The Henderson, located at 10555 North Community House Road in Charlotte, NC 28277. Two-story offerings from the builder’s SouthRidge Paired Villa Collection range from 2,500 to 2,900 square feet and are priced from the $460s. The SouthRidge Single Family Collection features two-story homes between 2,800 and 3,800 square feet with prices starting from the $560s. David Weekley homes will also add its Townhome Collection to SouthRidge with sales beginning in late spring or early summer. For more information about David Weekley Homes in SouthRidge, contact 704-817-0030. The Henderson is now open for tours daily in the David Weekley Homes community of SouthRidge.